Robert is Austrian citizen and grew up at the Woerther See in Carinthia. With 5 years the hospitality started for him, having a family restaurant. Robert started his career as Chef Apprentice in Munich and Allgaeu, with final exam. After his exam Robert moved to front of house, working in London as Bar Manager and Bermuda Island as Head Wine Steward. In 2001 Robert started his Bachelor study at the Heidelberg Hotel Business School with final exam in 2003. Next to school Robert founded his own consulting company which was sold successfully, travelling then for one year thru Australia and Thailand. 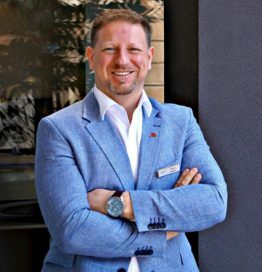 In 2013 Robert started with Marriott in Munich which brought him in different Executive positions over Shanghai, Beijing, Copenhagen, Lisbon and Istanbul to Belgrade.